Now that marijuana use in Colorado is legal not only for medicinal use by registered MMJ patients, but for recreational use by any adult that's a resident of the state, a lot of people who don't have a medical marijuana card are wondering where and how they're supposed to buy pot. Laws governing recreational marijuana have not yet been set. Marijuana dispensaries and licensed caregivers will not sell pot to anyone without a medical marijuana license. And it's against the law to sell marijuana without obtaining state authorization and licensing. So where are those who want to take advantage of the legalization of marijuana in Colorado supposed to buy weed without braking state law? Strange enough, even though marijuana use and possession is legal in Colorado, at this time there is no way for non-MMJ patents to legally obtain pot. Before January 1st, 2014, the way Colorado laws regulating marijuana were interpreted, unless a nugs magically appear out of thin air and fall into your lap, you would have had to break (or at least thoroughly bend) some some State laws to get high in Colorado (even if these laws are not being [strongly] enforced by Colorado police. The most obvious option is to buy weed from one of the many licensed marijuana dispensaries in Colorado. 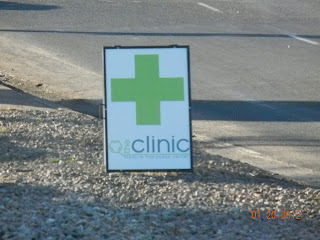 To do this you will need to obtain a Colorado medical marijuana license, commonly referred to as a red card. Marijuana Dispensary advertisement - Lakewood, Colo. If your planning on being in Colorado for a while this is the best way to go. Having your red card makes buying weed super easy. While some cities have restrictions or bans on MMJ dispensaries, in most parts of Colorado you won't have to drive more than 5 minutes out of your way to get to the nearest marijuana dispensary. One other advantage of getting your red card and buying weed legally from a dispensary or caregiver in Colorado is the very high quality of weed you'll have easy access to. Any Colorado resident can get a red card; you don't need to have (proof of) any serious illness, ailment or health condition. It will only takes an hour or so and you can go straight from there to a dispensary to buy pot. You'll have to wait a few weeks for your red card to arrive in mail. So make sure to get a copy of the doctor recommendation that you send in to the State of Colorado. Some dispensaries in Colorado refuse to serve anyone without an official red card, however most Colorado marijuana dispensaries will accept this paperwork as a temporary MMJ license, so you can buy pot while you're waiting for your official Colorado medical marijuana license to arrive in the mail. 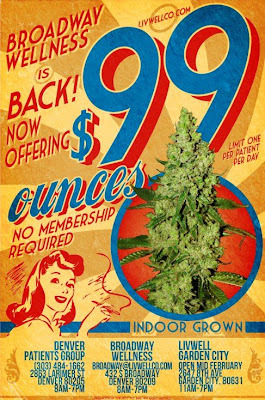 Once you've got your Colorado red card (or temporary paperwork) you should have no problem finding good deals on quality weed. Registering with the State of Colorado as a medical marijuana patient is the easiest way to get access to the best varieties of pot and MMJ meds in Colorado. With the legalization of marijuana in Colorado new standards have been set on the quality of marijuana. The potency and selection of cannabis strains at dispensaries can simply not be matched by street dealers or individual growers. Another pro to getting a red card is the low priced weed at dispensaries. Marijuana prices at dispensaries are normally about half of typical street prices (When I say typical street prices what I have in mind is $50 per eight or $300 to $400 per ounce. This is what people in most parts of the U.S. pay when purchasing marijuana on the black-market Some people in Colorado still pay amount, however the effects of price wars among marijuana dispensaries clearly carries over to streets, and most regular weed smokers in Colorado won't pay the old price of $50 an eighth, even if they don't have a MMJ card. Designating a good medical marijuana dispensary as your primary caregiver (if you choose to designate a dispensary as your primary caregiver, choosing a dispensary that consistently has good meds - strains, concentrates, edibles or whatever is important to you - is huge. Finding a dispensary with quality bud and good prices can save you thousands every year and drastically improve your experience as a MMJ patient in Colorado. 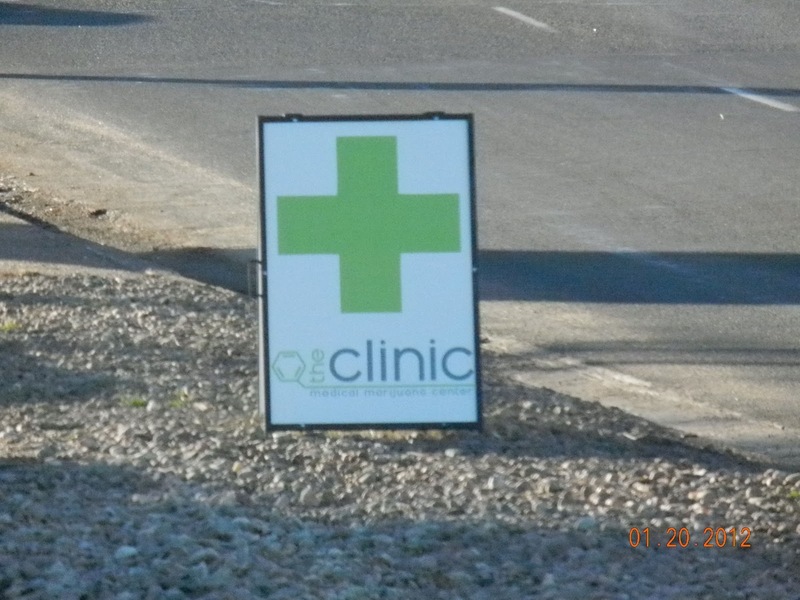 If you're looking for a good dispensary to make your primary caregiver checkout this article. It links to useful dispensary maps that highlight top cannabis clinics and pot shops in Denver, Boulder and other areas of Colorado. Surprisingly, in Colorado, marijuana is not marketed that differently than most other commercial products and goods. Craigslist.org is a great place to find good prices and compare nearby deals on cannabis and THC infused products. Sellers advertising pot for sale on CL will require you to show a valid MMJ card). Not only does it give you a spot to compare the specials of local dispensaries advertising on Craigslist.org, but it gives you access to deals on Colorado marijuana for sale by local caregivers, growing clubs and co-ops, giving you an easy way to compare marijuana prices from a large selection of sources in Colorado. 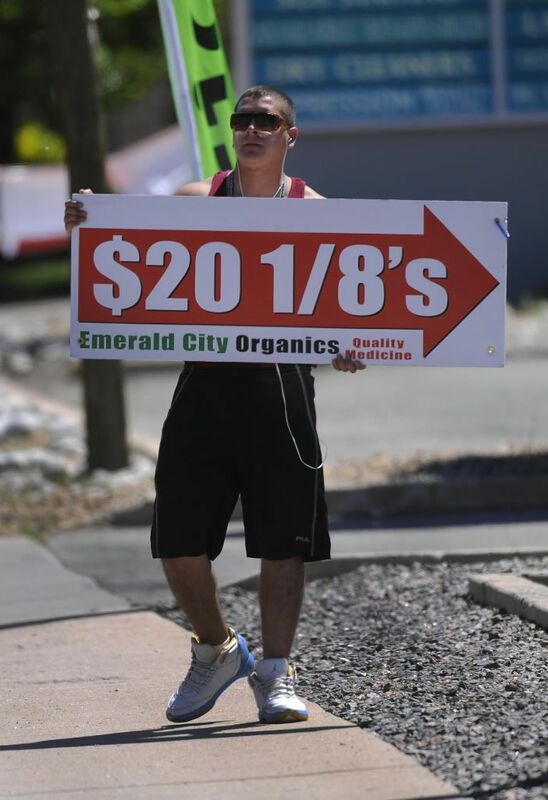 It's not unusual to find unusually low prices on pot from a grower or caregiver that over-grew. One added bonus to checking CL for good deals on marijuana is seeing some of the bizarre posts people make about buying/selling weed and some of the hilarious things people are trying to trade for pot. If you're not going to buy weed from a medical marijuana dispensary, you don't know anyone with a red card that will hook you up, and you can't or don't want to try to find a street dealer there is one last option; to grow your own pot to smoke. Of course, this is not an immediate fix. It typically takes around 8-weeks from the time you plant cannabis seeds for the plants to fully mature, bud and be ready to harvest. Growing your own pot will require some additional preparations as well. Among other things, you'll want to setup a stealth grow room and educate yourself on the proven methods that are used by experienced cannabis cultivators to grow good weed indoors. Mastering the art of growing great pot is a difficult but rewarding feat. Because the price of weed for growers is only the amount spent on growing supplies and seeds or clones, and because it can be a fun and rewarding hobby to grow your own pot, many people choose to grow their own weed. So don't be going and burning bridges with your other weed sources if you decide to start growing pot for your own self consumption. After all it may take some time before you learn the ropes and are able to grow good enough and a large enough amount of pot to meed your needs. Colorado laws regulating the sale of marijuana changed on January 1st, 2014. Recreational sales of marijuana is now legal in Colorado. To find where to buy recreational marijuana in Colorado now - Click here! Even though using pot for recreational use has been legalized in Colorado, the laws governing marijuana use and the buying and selling of marijuana remain loose and largely undefined. As of now, in Colorado, it remains illegal to purchase pot from anyone not registered with the State of Colorado as a caregiver. However, buying weed from street dealers that are not authorized by the state to sell weed is common and does not seem to be a major priority of Colorado law enforcement. If you don't have a valid Colorado MMJ card, your next best option is to get your weed from a friend or someone else you know who is a registered medical marijuana patient in Colorado. You might offer to buy them a joint or pay them a few bucks over dispensary prices. You'll still be getting a good deal in comparison to paying typical street prices, i.e. $50 for an eighth or $300 to $400 per ounce. What if you don't know anyone in Colorado that has a valid red card? If you don't have a red card and don't know someone that's registered as a Colorado medical marijuana patient, getting good deals on good weed will be considerably more difficult. You will need to ask around to find a weed dealer. If you don't know many people and are unsure where to start, you might try Capital Hill or the South Broadway Ave. areas of Denver or The Hill and Pearl Street in Boulder. These are common hangouts for stonners and street dealers.